With so many stings, pinches and bites to protect ourselves from, which should cause the most concern? Venom and poisons are known to harm those people or organisms with which they come into contact. Certainly, they could prove debilitating or fatal once in the system. It is important to seek medical assistance or call a local poison control service as soon as one suspects poisoning. This also applies to animals too, especially the domesticated ones. Venom is a biological toxin that is injected into the system through a bite or sting. The perpetrators of these bites and stings are given by animals or organisms that have sharp points or teeth that are used for the venom delivery. On the other hand, poison is a biological toxin that is usually absorbed into the system through the epithelial lining. This means that for a toxin to pass as a poison, it has to be either inhaled or at times ingested into the system. Venom is usually found in animals. This is a defensive mechanism or a means of hunting down prey for some and a chief means of protection for others. The first culprits with venom have to be insects and arthropods. This includes creatures such as spiders whose venom can be lethal. There are fish that are venomous especially the cartilaginous ones such as sharks. Snakes and reptiles have the highest numbers of creatures armed with venom. Even some mammals such as the male platypus are known to be venomous. Some amphibian such the salamanders are also venomous. There was a breed of dinosaurs that was believed to be venomous as well. The major sources of poison are chemical compounds and products which cause chemical reactions. Common poisons include fumes such as carbon monoxide, acids, cyanide and many other household and industrial type chemicals. As mentioned earlier, the method of delivery of the poison and the venom to the bodies of the victims is quite different. 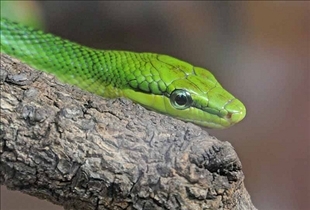 For venom, the victim receives a toxin via a sting or bite depending on the location of the venomous glands. In the case of poisons, they have to be absorbed through the lining of the digestive or respiratory tract. This means that the poison is either ingested of inhaled by the victim. Both venom and poison are harmful to the bodies of the victims which can be animals, human beings, other biological or ecological systems. Venom is mainly produced by animals either for their protection or hunting. Poisons come from a large and diverse number of sources especially from chemicals which produce toxic products which either kept in the home or used by industries. Which one is more lethal?